My first exposure to the Blind Boys of Alabama was on a Richard Thompson tribute album from 1993, when they were still the Five Blind Boys of Alabama. I guess when you hit your seventies, you’re allowed to get a little fuzzy with the numbers and start hedging your bets. If so, it’s the only area where these gospel-singing septuagenarians are playing it safe. Blending the 23rd Psalm with an old Parliament/ Funkadelic tune probably won’t impress the die-hard gospel faithful, but it’s an example of how these decidedly non-stolid gentlemen are breathing new life into a dusty genre. Higher Ground, the follow-up to 2000’s Grammy-winning Spirit of the Century, continues the Blind Boys’ recent foray into mainstream pop and rock territory, with covers of sacred songs written by secular rock and soul luminaries Aretha Franklin, Curtis Mayfield, Stevie Wonder, Prince, Ben Harper, Jimmy Cliff, and yes, George Clinton, the master Funkateer himself. The three surviving founding members of the group have been singing gospel together for 60 years, but it was only with Spirit of the Century that they gained wider recognition. Although Higher Ground lacks some of the previous album’s big-name guest stars, it is, if anything, rougher, bluesier and funkier than its predecessor. Aided by Ben Harper’s marvelous falsetto and guitar on several tracks, and by the fine young pedal-steel guitar phenom Robert Randolph throughout, Higher Ground rocks, rolls and generally rattles the stained-glass windows. If that isn’t soul-stirring music, then I don’t know what is. Of particular note are Ben Harper and Clarence Fountain’s vocal interplay on Curtis Mayfields’ "People Get Ready," the stomping Stevie Wonder title track, and the transcendent, revelatory reading of Harper’s "I Shall Not Walk Alone." Only the traditional spiritual "Wade in the Water" seems a bit labored and lethargic. But that’s a minor quibble. 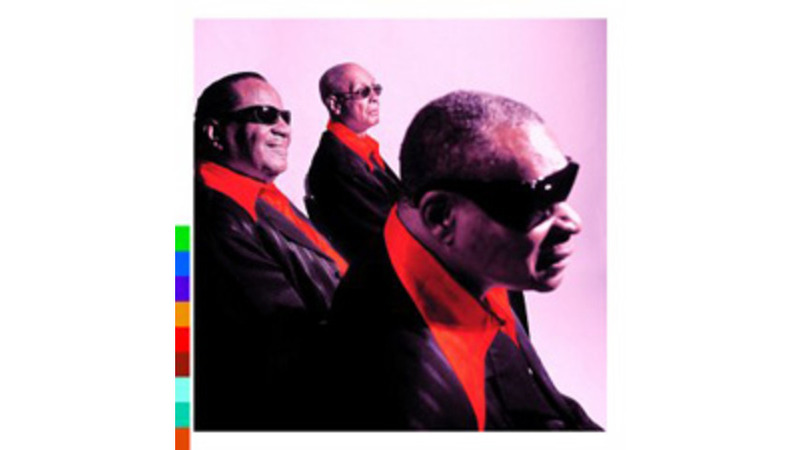 The Blind Boys of Alabama again deliver an astounding blend of the sacred and the profane on Higher Ground. Soul singers in the best sense of the term, they continue to produce timeless music that will inspire the faithful and call sinners to, if not repentance, then at least to the dance floor. Higher Ground is a majestic triumph.